Are proposals the same for straight and LGBT couples? How do you go about proposing? Should I get an engagement ring? What engagement ring should I get? Diamond? Your proposal, you’ve been together for a while and you’re thinking about proposing or you just can’t wait to start a life together. A few people have asked me “When? When is the right time to propose?” I’m afraid the only answer I can give you this; only you know when the time is right. You just know! Quite often the other person will be thinking about it as well. It shouldn’t be a surprise, but you how you propose might be a little bit of a surprise. What’s your proposal going to look like? Do you want a big proposal, or you do you want to do it in a special place – you can have it. All it takes is a little planning and preparation, that can sometimes be the hardest bit. At MyOhMy Weddings we specialise in proposals at special and unusual destinations and we make sure that you’ve got a videographer or a photographer capture those special moments for you. Let’s say you want to go back to the place that you had your first date..
Go back to that restaurant and have a chat with the manager, let whoever’s going to be on staff that day and let them know what you’re planning and how you want to do it. Do you want a sparkler to come out in the dessert, do you want ‘Marry Me’ to be written in chocolate on the dessert place. Or do you want the ring to appear in the bottom of their favourite cocktail? Any of those things can be really wonderful. They mean something to the two of you as a couple. If you want to go really big, you can start to think about things like signs on the side of buildings or flash mobs. They take a little bit more prep but are absolutely doable, there are plenty of dance troops who would be happy to help. Just be sure to think about what your partner would like. You might want to shout your love to the world, but if they’re going to stand there and be so embarrassed they can’t think straight, then you might want to think about something else! If you know they’ll love it, go for it – make sure you get plenty of video! You’re going to want to capture every second of their reaction. Your proposal truly can be whatever it is you want it to be. What about something small and intimate? How about hiding your proposal in the everyday? If you make breakfast for your other half before you set out for work, but on the Saturday have mimosas for breakfast. What about having a nice knife or spoon and engraved with ‘Marry Me?’ It’s just there waiting, waiting, until they see that little inscription and then the fire in their eyes and the light in their face when they do notice what it is you’re asking. I really like the idea of a scavenger hunt, especially if that day is a special occasion. You can really go to town on hiding little clues around the house or even your local town or village. It becomes little treasure hunt for their gift and you surprise them at the end with your proposal. There are so many different ways make it personal and special to you as a couple, not cliché and cookie-cutter. Don’t forget to get a photographer or videographer, capture those special moments. If you feel that you want to chat through some ideas or have no idea as to where to start, please do get in touch. I’ll happily and have a call and we can hash out some ideas as to how you will make your proposal special. As small or as big as you want it to be. The next big hurdle – engagement rings. 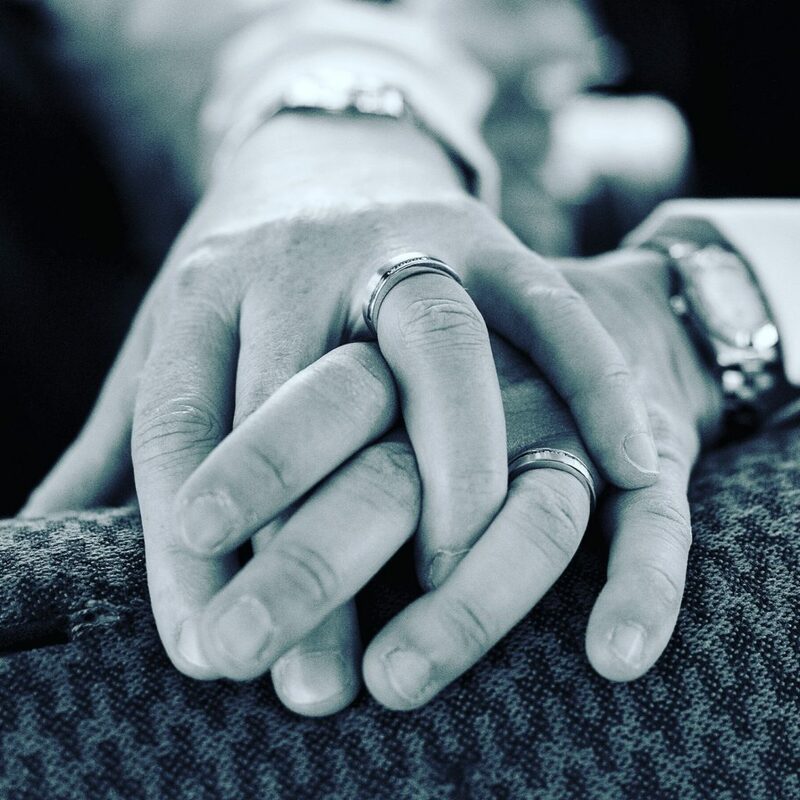 For some it can be quite difficult, I know lots of our community wear a ring on the wedding finger anyway. You could upgrade that one, or design something a little bit different. 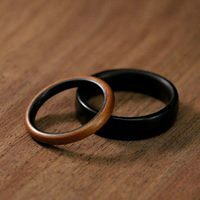 You could get something in silicon as a ‘holding’ ring, and then go shopping together. 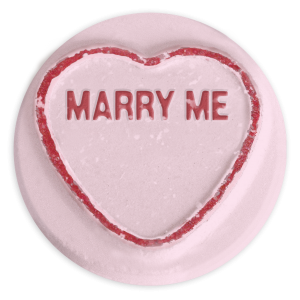 You could even, in a hurry, get a Haribo ring, just that you’ve got something to propose with and then upgrade it later! Engagement rings aren’t the be all, what about an engagement watch or engagement earrings, if your partner is not particularly into jewellery, a ring might not be the best option and the only jewellery they might, wear might be their wedding bands. So your proposal is amazing, everything goes to plan, you’re going to want to tell the people that are important to you and then word will spread. The questions will be – when are you getting married? Have you set a date? Probably followed by lots of advice, so feel free to keep it secret for a few days at least, as your secret! A proposal can be private and personal, my key message for is make it personal to you as a couple and think about how your partner is going to feel. Are they going to be embarrassed if you do something over the top or will they be disappointed if you don’t get down on one knee and make an occasion of it? For some it’s a mutual decision; she leans over and says “Shall we?” “She leans in and says, now we have had the bathroom done I suppose we should!” Flashing cocktails are consumed and the rest is history!